Hearing loss is a common problem among older adults in Calgary. Approximately one in three people between the ages of 65 and 74 suffer from hearing loss, while nearly half of those older than 75 have difficulty hearing. If you suffer from hearing loss, you may have trouble hearing others during conversations which can be frustrating and oftentimes embarrassing. If you have a difficult time talking and conversing with friends and family members, contact the audiologists at Audiology Innovations today. Many older adults come to our hearing clinic with questions regarding hearing loss. One of the most common questions we receive is, “Why do we lose our hearing in the first place?” Hearing loss can happen due to a variety of reasons, and most people slowly start to lose their hearing as they age. Also known as presbycusis, doctors aren’t sure why age related hearing loss affects some people more than others, but research has shown that it can run in families. Another common reason for hearing loss with age may be due to years of loud noise exposure. If you or a loved one once worked as a musician, in construction, at the airport, or on a farm, there’s a good chance you were exposed to loud and harmful noises. Conditions that are more common in older adults, such as diabetes and high blood pressure, can also contribute to hearing loss in adults. If you think you may have a hearing problem, there are a few questions you can ask yourself before making an appointment with the professionals at Audiology Innovations. If you answer “yes” to three or more of the questions below, contact us today to schedule a complete hearing evaluation. When you meet new people, do you feel embarrassed because you struggle to hear them in conversation? Do you always ask your friends or relatives to turn up the volume on the television or radio because you can’t hear them well? Do you feel that the hearing challenges you face are limited your personal and social life? Do you ever feel restricted or limited in a social situation because you can’t make out what other people are saying? Do your friends and family members constantly tell you to lower your voice because you speak at a loud volume? What Hearing Loss Treatments Are Available? Hearing Aids – These electronic devices can be worn in or behind your ear to improve your hearing. Assistive Listening Devices – These are telephone, cell phone, and smartphone amplifying devices used to increase volume. 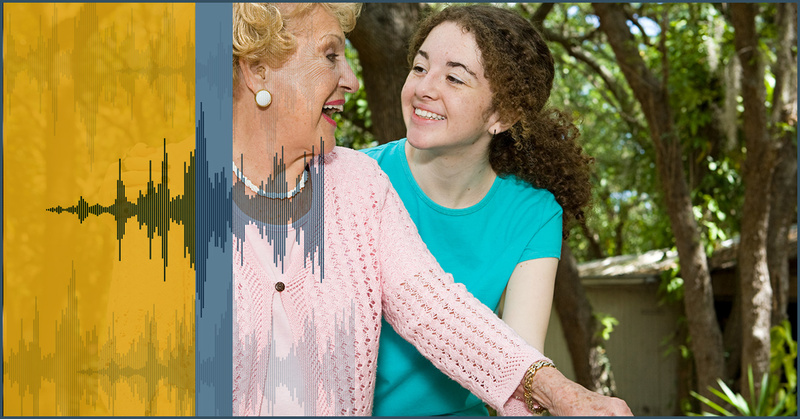 If you or an elderly loved one is suffering from hearing loss, contact the professionals at Audiology Innovations today in Calgary.